Uncle Wiggily has been a reassuring friend to millions of children since early in the twentieth century. He is a cheerful "bunny rabbit gentleman" who understands people-talk and has dedicated his life to helping animals and children with his wonderful knack for setting things right. Uncle Wiggily's amusing stories speak to readers about familiar experiences and feature a lively cast of characters including Nurse Jane Fuzzy Wuzzy, Uncle Wiggily's loyal muskrat housekeeper, and Sammie and Suzie Littletail, among many others. 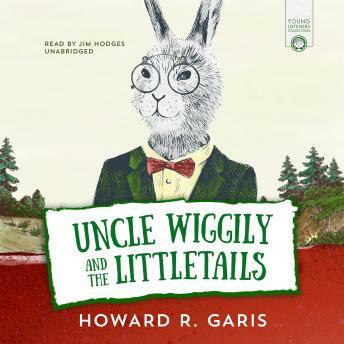 Uncle Wiggily stories are full of charm, warmth, and old-fashioned fun.